As a hypnotherapist you will need a selection of hypnotic inductions for use with your clients. 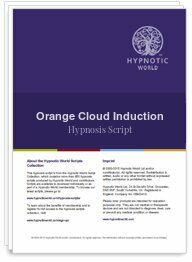 The Orange Cloud induction uses visual imagery to take your clients on an imaginary journey during which they can relax and prepare themselves for hypnosis. Learn to use a pendulum to induce trance.